Located in the heart of downtown, Harrahs features Renos hottest entertainment. Tantalize your appetite from one of the six great restaurants ranging in buffet to gourmet cuisine. Harrah's is also the home to Reno's biggest jackpots with 57,000 square foot casino floor. Other services include fully equipped health club, outdoor pool, sauna, massage and hair salon, 15,000 square feet of meeting and banquet space plus easy access to golf, skiing and historic landmarks. Harrah's has everything you need for a great time. Total tax of 20.75 percent will be charged. 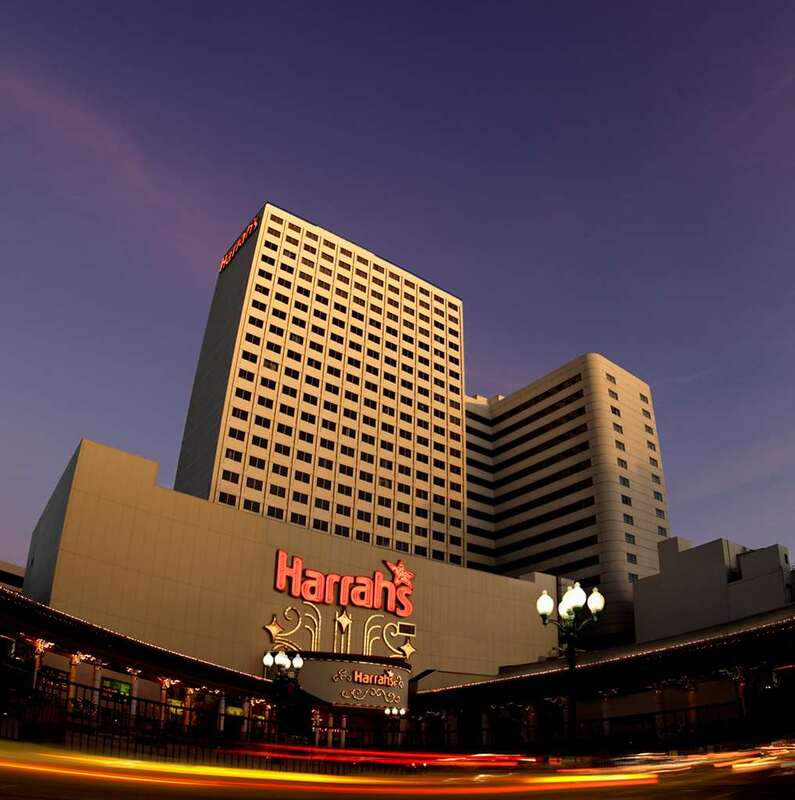 Harrah's Hotel And Casino Is Located 5 Miles From Reno/Tahoe Airport In Downtown Reno.